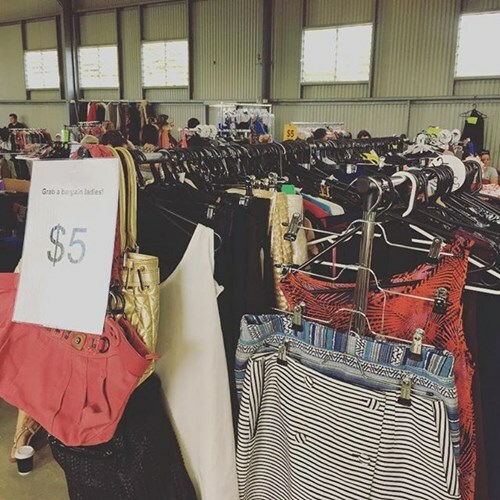 Clear out your clothes, shoes and accessories and convert them to cash at MT GRAVATT FASHION MARKET! This is the BEST way to convert your closet to cash! We have coffee, food and of course FASHION! We are on the same time as the Mt Gravatt Farmers Markets, so there's always plenty of shoppers around! The Farmers Market is just 1 minute walk down the hill from us. 1) Book and pay for your sellers stall here now. Be quick so you don't miss out! You can share your stall with friends and split the cost. 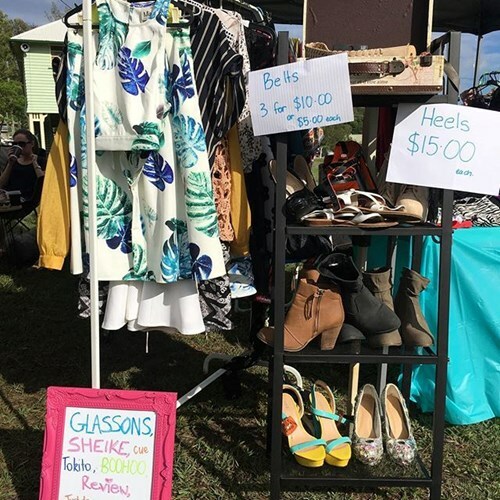 The cost of our stalls are the lowest for any fashion market in Brisbane***! Make sure you check on the size of stall you are getting. 2) Prepare your stuff to sell. Clear out your wardrobe and tag your items with prices. 3) Shop & Sell! 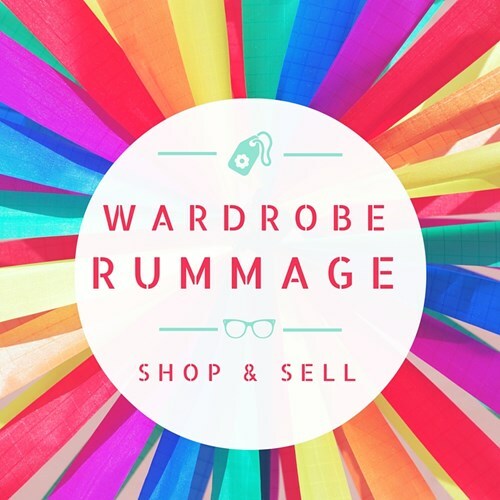 If you're selling, come and set up on the day and turn your wardrobe into cash! You can share your stall with friends! If you're shopping, it's FREE entry! Be treated to over 10,000 fantastic pre-loved clothes, shoes and accessories at bargain prices! If you book an outdoor stall, please bring a marquee to provide shade and shelter. You can also bring an umbrella if it is one of those ones with a base. WET WEATHER PLAN: This event goes ahead if there's rain. However, if the rain heavy accompanied by hail or thunderstorms, Mt Gravatt Showgrounds has kindly offered for us to postpone the event for a future date. We will postpone to another day, and your sellers ticket will be transferred to this event. If you can't make the new date, you are able to transfer your ticket to a friend, so please just let us know the details. SELL: As a Seller, you will be allocated a stall space, either indoors (Indoor stalls are approx 3m x 3m) or outdoors (3m x 3m too), depending on which ticket you buy. Set up your area with suitcases, tables, racks, signs, mirrors, lollies and anything else that creatively presents your clothes, shoes and accessories to sell. You will be able to rent racks ($20) and tables ($10) from us leading up to the event if you want. We will email you the week before the event with all set-up details and links to hire racks/tables. WHO CAN SELL? Everyone is invited to come and set up shop on the day. Guys, girls, teens, adults, e-boutiques, creators and makers, you're all welcome! DETAILS: We will email you the week before the event with details for how to rent racks/tables and step-by-step info about setting up and selling on the day. SHOP: Shoppers do not need to pre-purchase a ticket, entry is FREE! As a Seller you agree to promoting the event to your social networks leading up to the event. Please share on facebook and instagram! SUPPORT: Support the environment and your local sellers, we love our slow fashion-loving community. **REMEMBER, you are allocated a space before you arrive on the day. As long as you fit within the space, you are welcome to share it with as many friends as you like! MAKE SURE YOU CHOOSE THE CORRECT DATE! The Mt Gravatt Markets are on at the same time, so this is the perfect way to get your stuff out to heaps of people! The markets have awesome fruit and vege and lots of food options. We have an ATM and a coffee van directly at our venue too. REFUND POLICY: Sellers Tickets are non-refundable. If you can no longer make it for ANY REASON, we will happily transfer your ticket to another seller, just let us know their name and details at least 3 days before the event. We do not transfer between events. No guarantees are made about your financial performance on the day. Please be aware that your ticket price is the entry fee to participate as a seller and how much you make on the day is up to you. If event is to be cancelled by the organisers/venue for any reason, another day will be chosen for the event and tickets will be transferred to that new date. You may be given an option for dates to transfer to. If you cannot make these dates, you can transfer your ticket to another seller. No refunds are given in the event you cannot make a rescheduled event. All sellers are expected to stay until official pack down time, if you've sold everything, this is a great chance to get to know other sellers there on the day and help out where you can. We have such a great community so this is your opportunity to get to know them! Please bring tables and racks and anything else to display your items (or you can rent from us, we will email you details the week of the event. Racks are $20 and tables are $10). Please bring a marquee or umbrellas to set up if you have an outdoor stall (we do not have marquees available to rent, so please make sure you organise in advance). Please be sure to bring weights or tent pegs to secure your marquee/gazebo to the grassed area outside. It's easy to transport your items is in suitcases, so feel free to bring along suitcases to wheel in and use in your display. We have change rooms available, so bring a clip board, pen and paper to keep a list of people who are trying on your items. You can ask shoppers to leave their credit card or drivers license with you to make sure they return the items. If you have EFTPOS that’s great, please bring it! Or you can accept PayPal, or shoppers have easy access to an ATM at the markets. Bags for your customers to put their new clothes in, start collecting and keeping now! You can rent racks ($20) and tables ($10) from us. We will send you an email the week of the event with all set-up details and links to book your racks and tables. If you blog, or instagram, facebook, please message us your links so we can start following and promoting you before the event too! You can bring as much as you can fit in your stall!